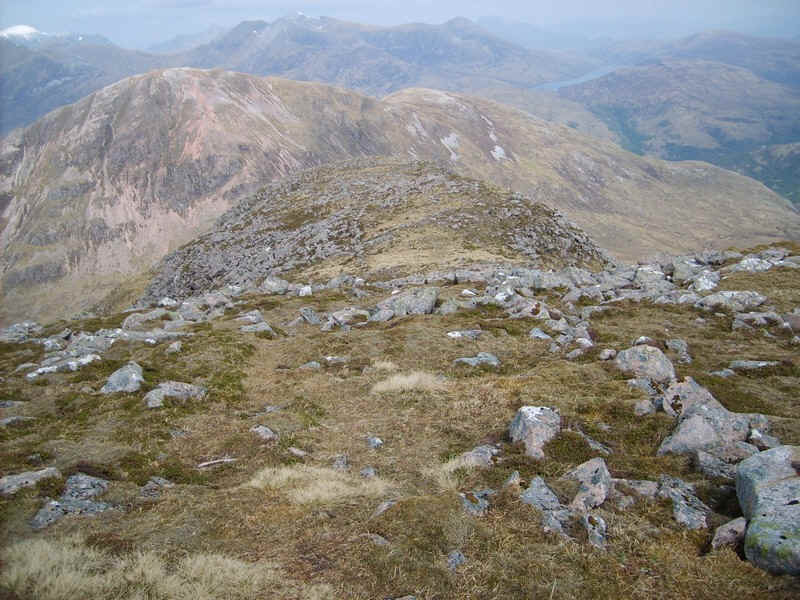 I climbed this Munro and Corbett in May 2012 in what can only be called a mini heatwave. 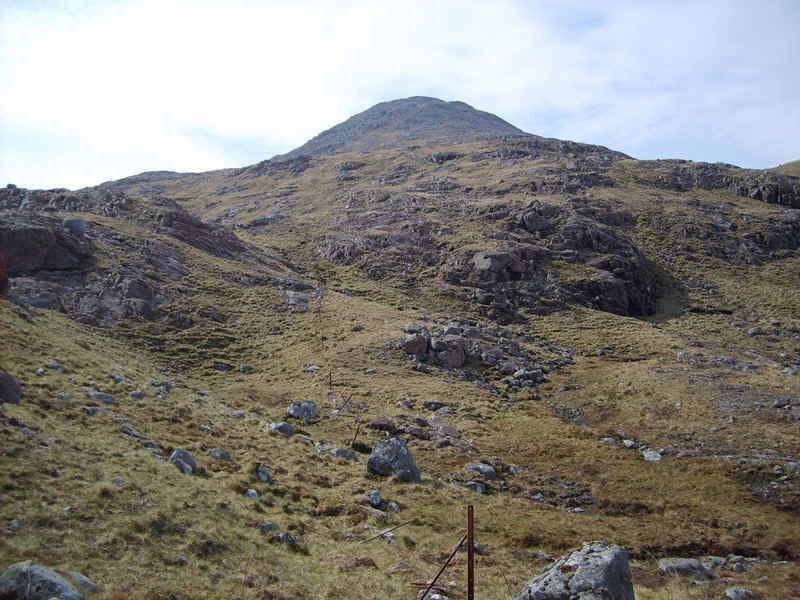 The week before there had been snow over many of the Munros and I'd been expecting that I would probably be limited to climbing some of the lower hills such as Garbh Bheinn. 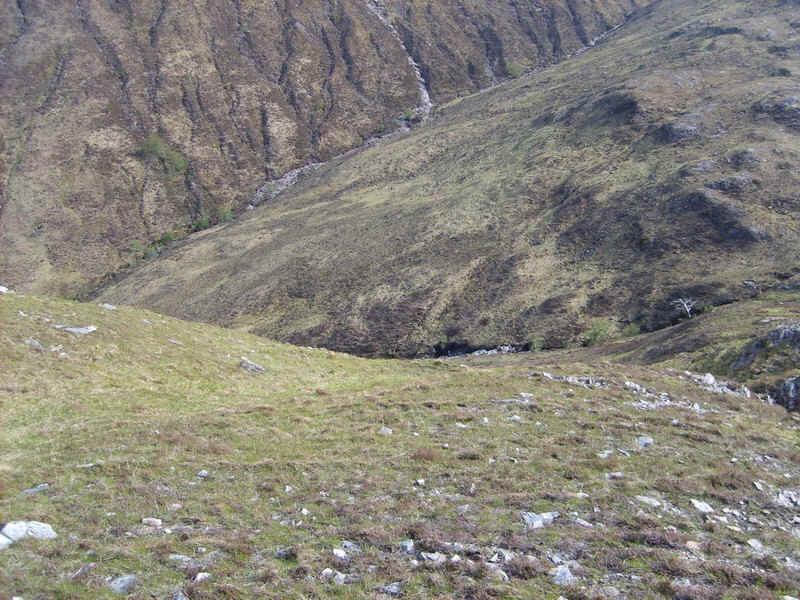 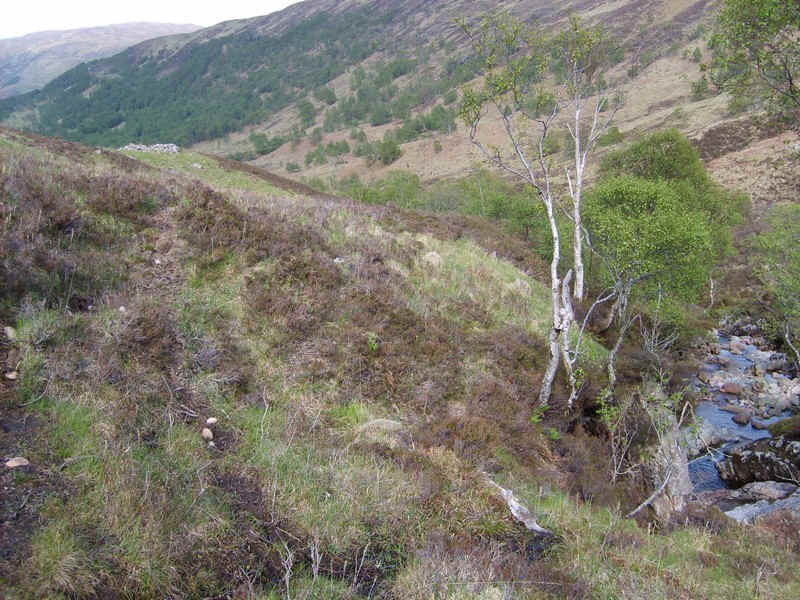 This had led me to investigate the possible routes up this hill, one of which is from the West Highland Way south east of Kinlochleven. 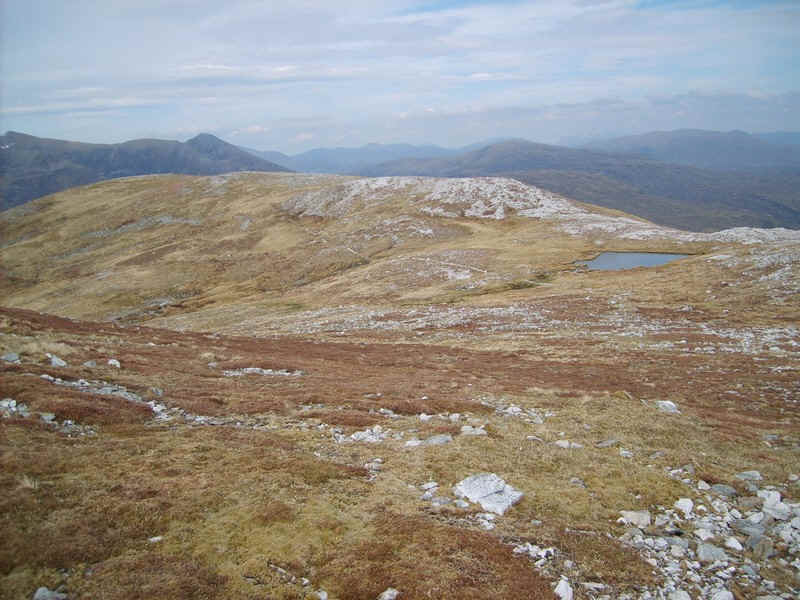 In the event the weather improved dramatically and instead of having to wear my Microspikes and winter gear I ended up with slight sunburn and walking in shirt sleeves all week! 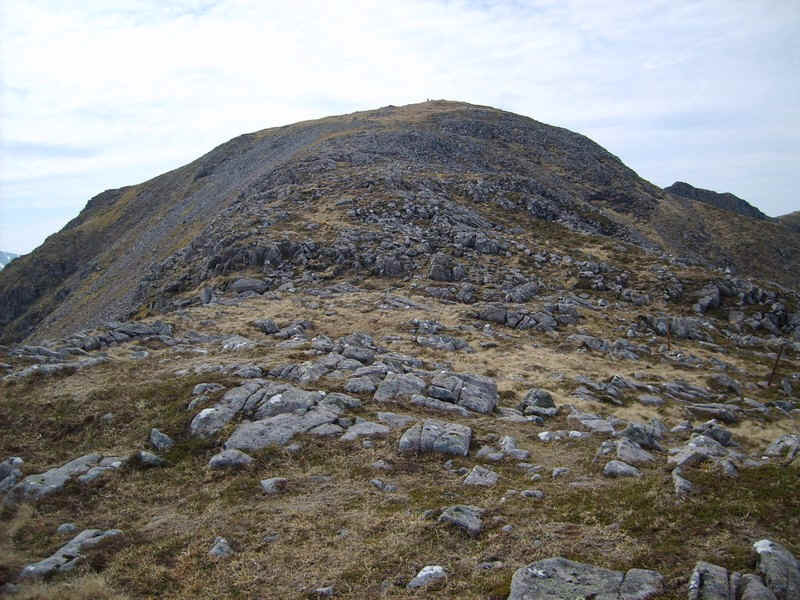 Have decided that a possible route up Garbh Bheinn would be from the reservoir at NN 195602, it struck me that this could also be an interesting approach to Meall Dearg (the central Munro on the Aonach Eagach ridge). 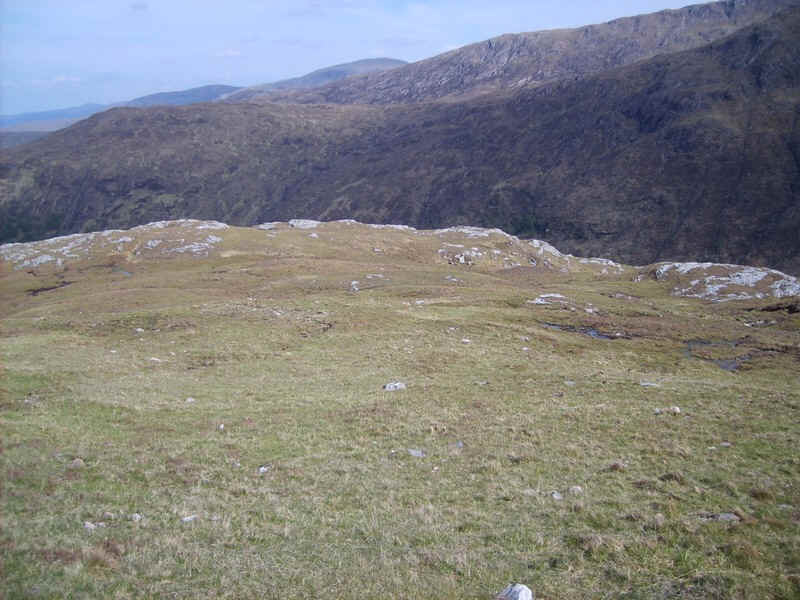 I'd planned to tackle this hill by taking the bus to the Caolasnacon caravan park and walking up Gleann a'Chaolais. 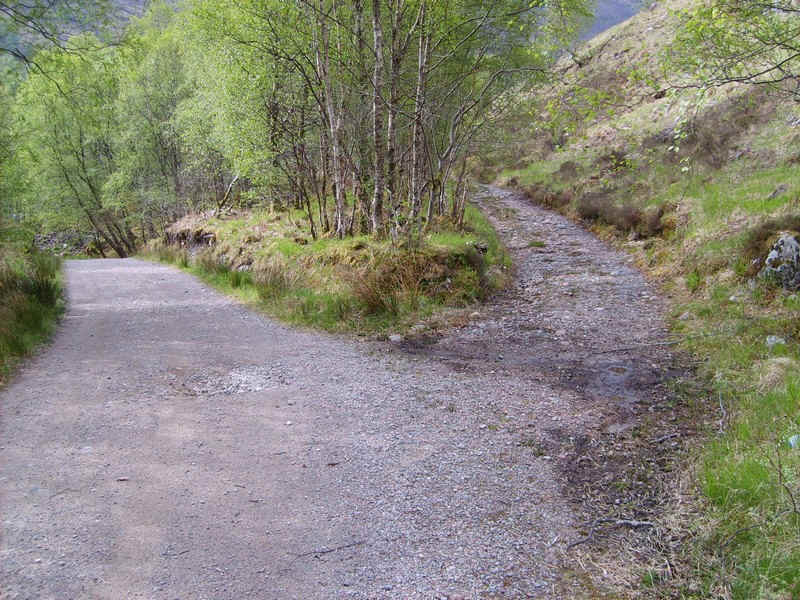 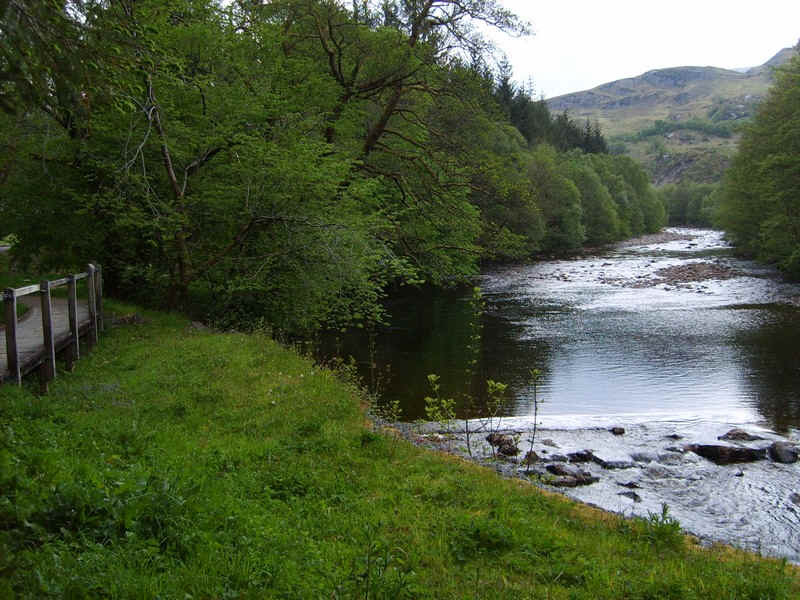 I'd already confirmed with the bus driver that the Fort William to Kinlochleven bus would stop and pick up there, but the lure of the easy height gain on the West Highland Way convinced me that this would be a better option. 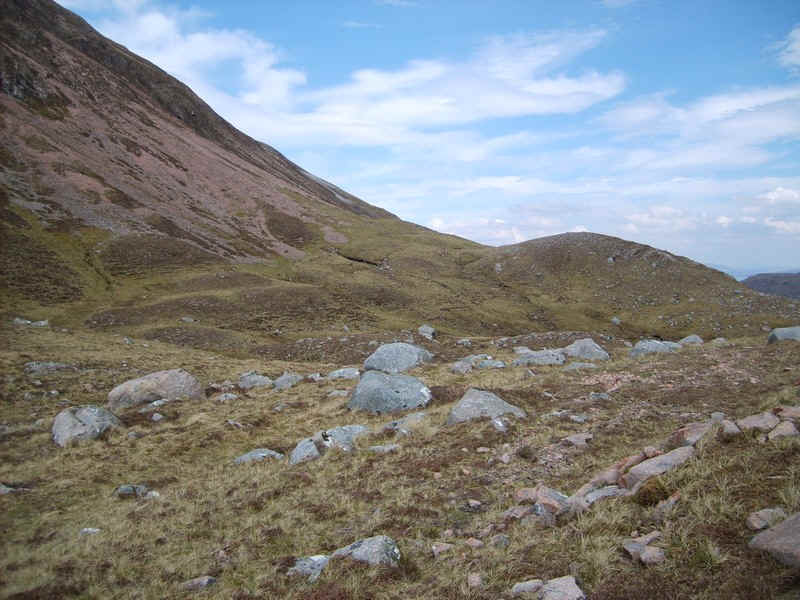 So the plan now was to walk up to the reservoir and then along by the Feith Nan Lab stream to the coll between Garbh Bheinn and Meall Dearg and then climb the north east ridge to the summit of Meall Dearg. 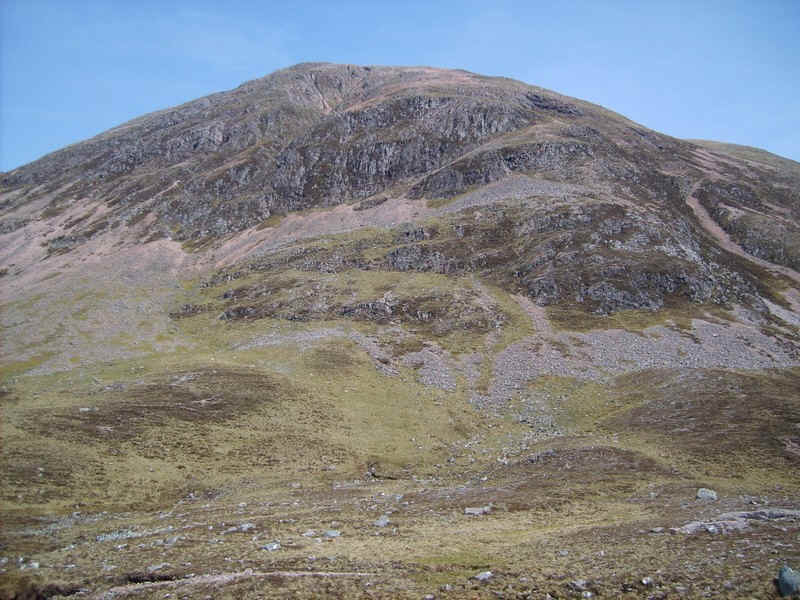 At the back of my mind was the possibility of also climbing Garbh Bheinn from the coll on the return. 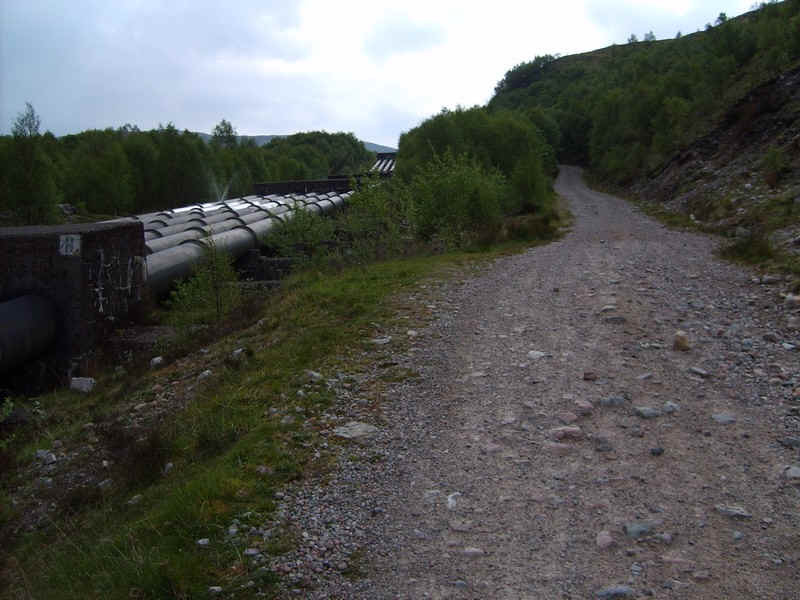 ....and then onto the hydro road by the side of the HEP pipes. 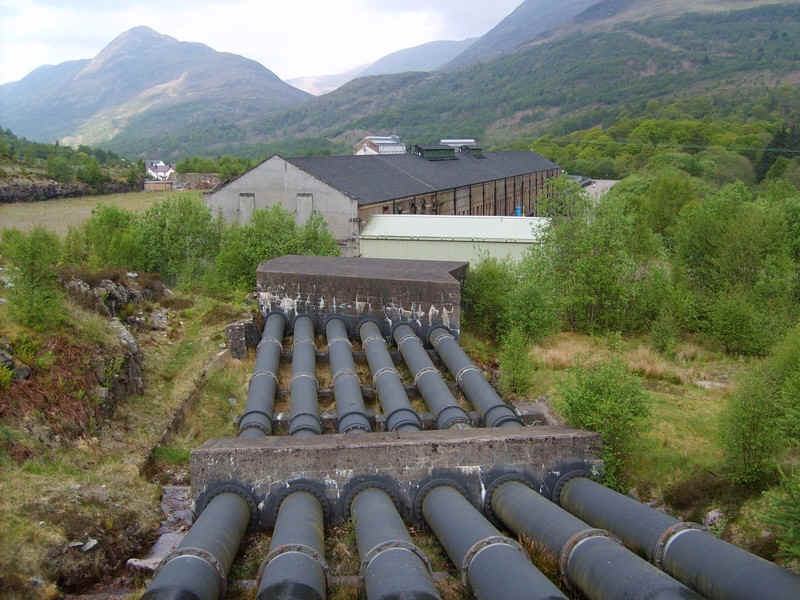 There was considerable leakage from some of the pipe joints, as can be seen in this photograph. 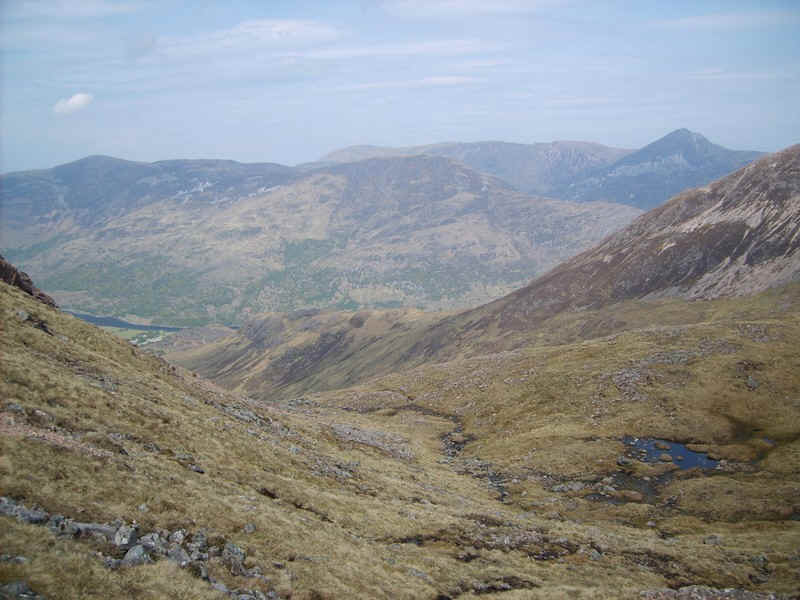 ......with Meall Dearg on the right and Grabh Bheinn's slopes to the right of the enormous corrie at the head of the glen. 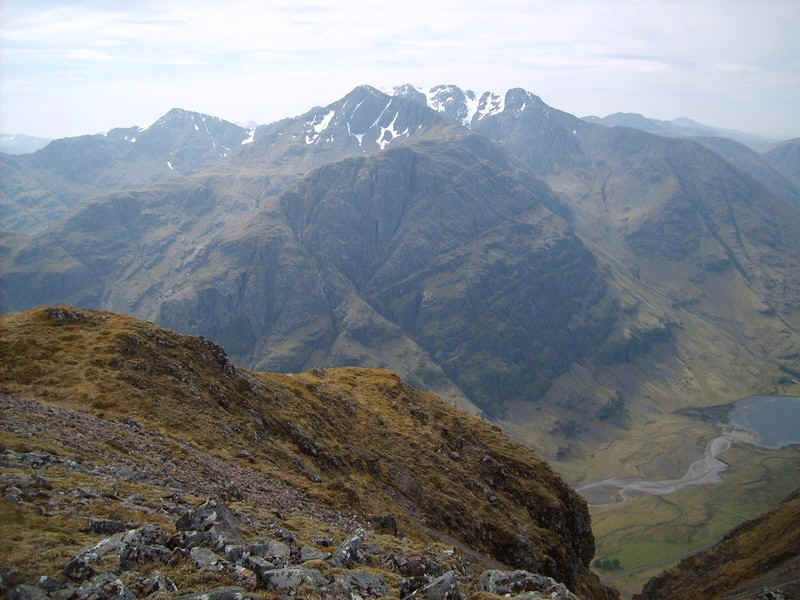 Over to the south of the corrie is the eastern end of the Aonach Eagach ridge with Am Bodach on the left. 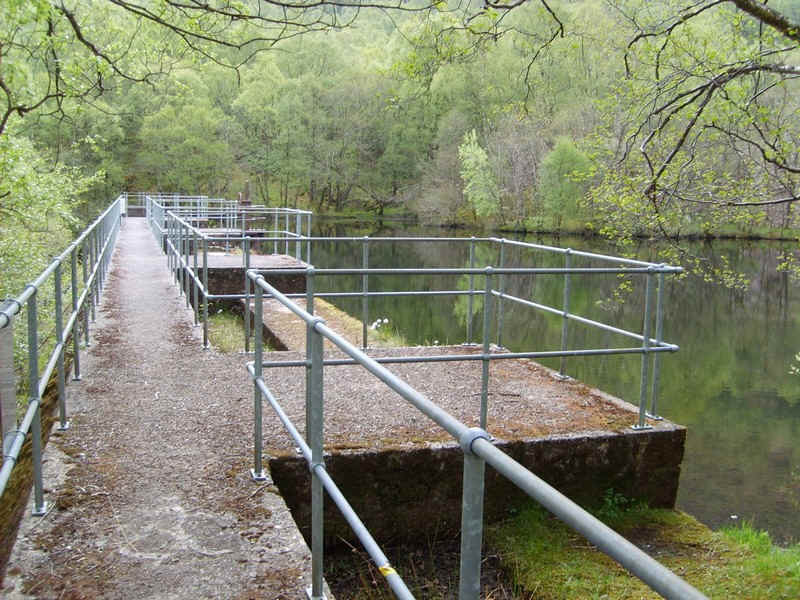 .....where a line of fence poles is met. 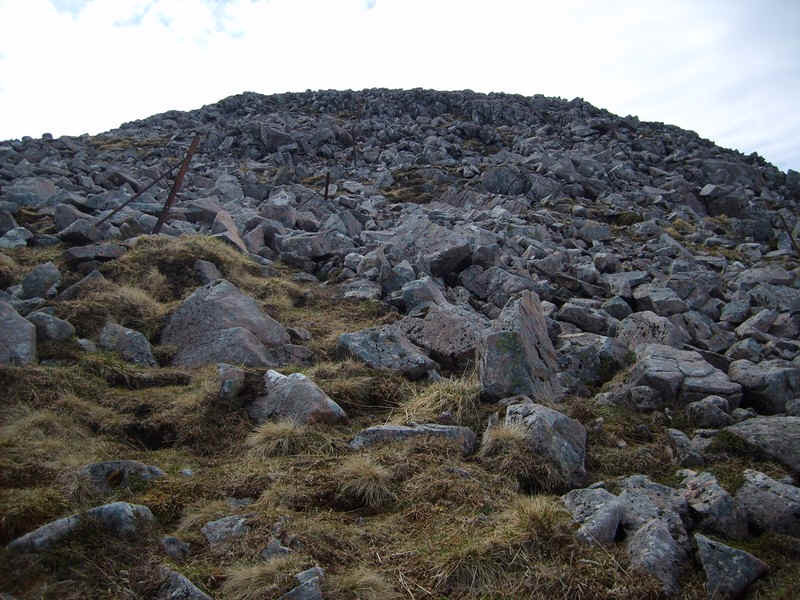 This then turns at right angles and goes straight up the ridge to the summit of Meall Dearg. 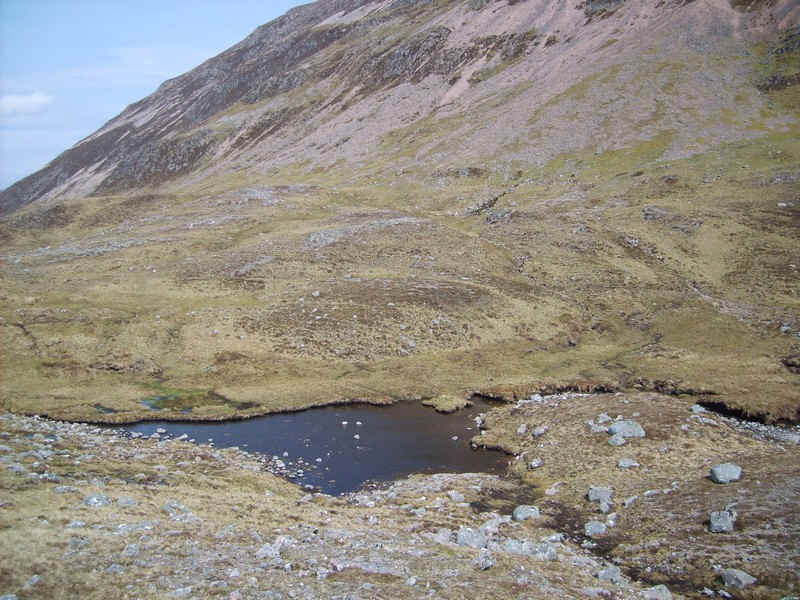 .....and one of the small lochans at the coll. 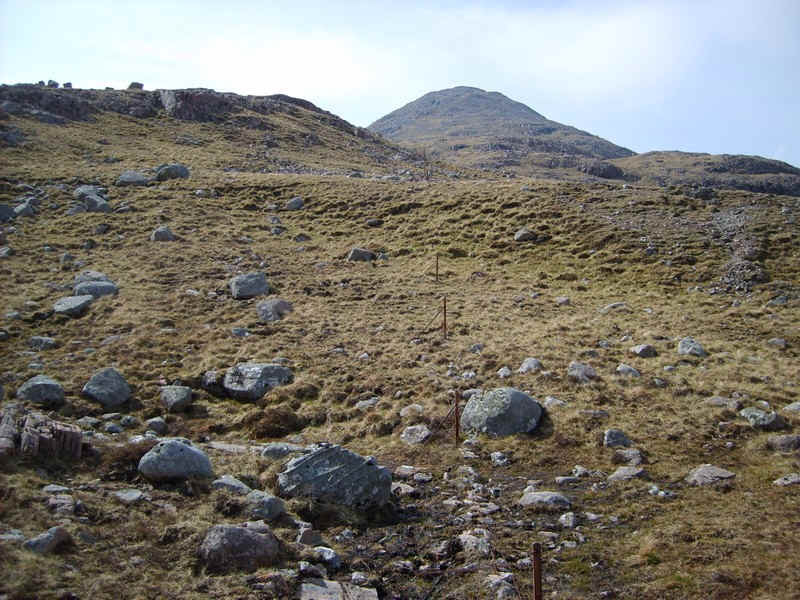 The fence poles march on up the ridge with the odd traces of a path in places. 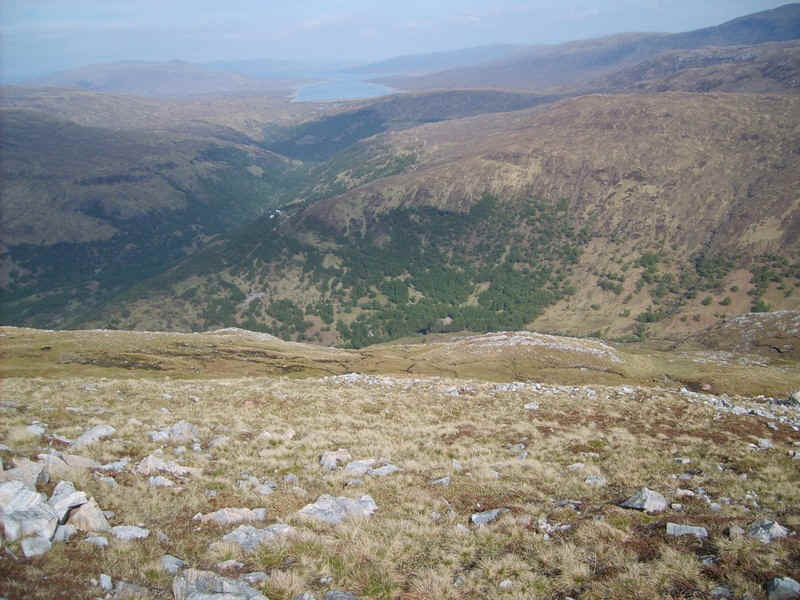 A glance backwards reveals Loch Leven far below down Gleann a'Chaolais. 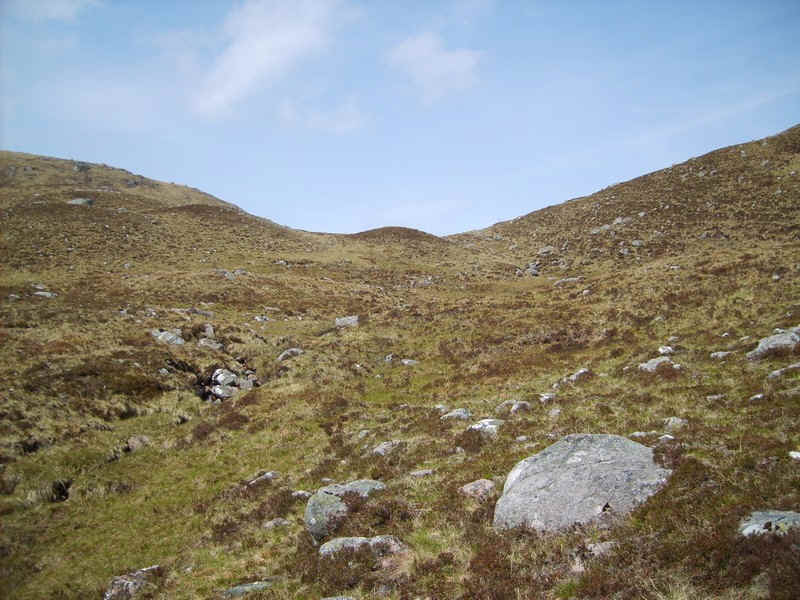 This is the more usual route up from this side of the hill but I can't help but feel that my route was better. 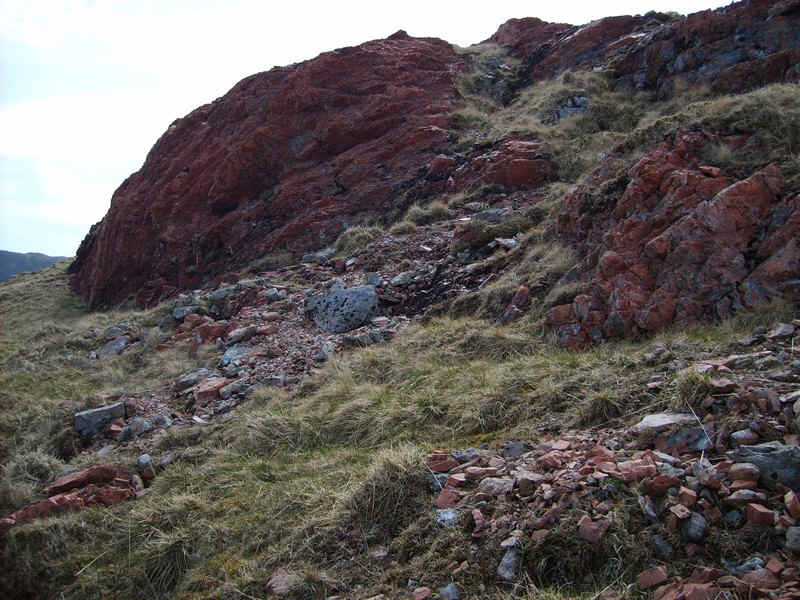 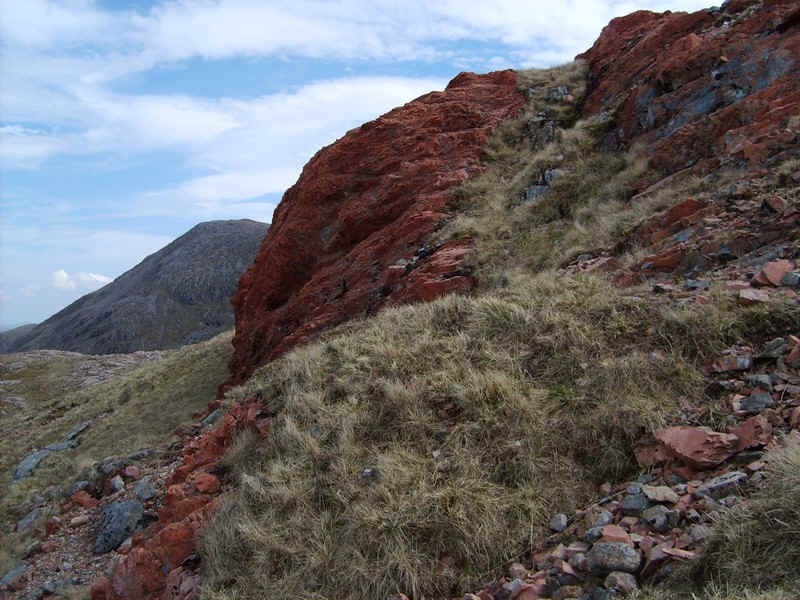 Most accounts of walks up Meall Dearg mention this dramatic outcrop of red rock. 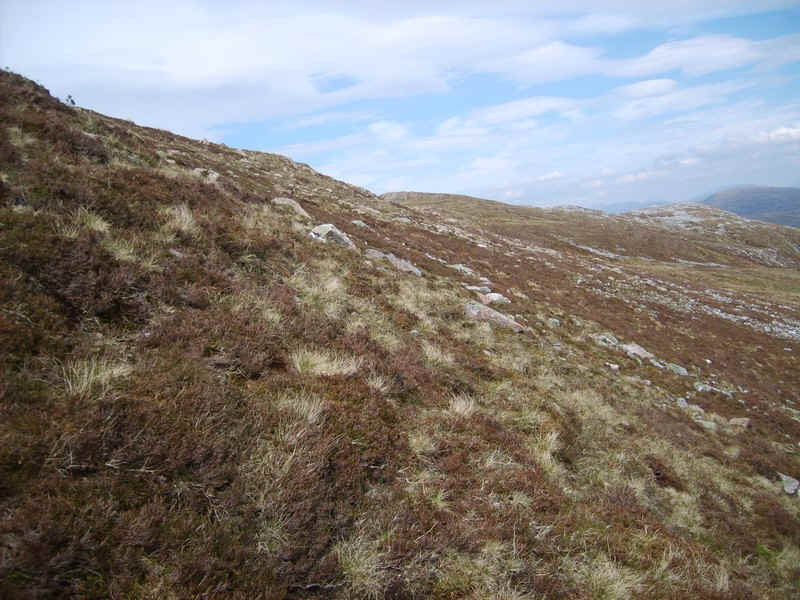 Eventually, the grass ridge turns stony and care is needed clambering over boulders in places. 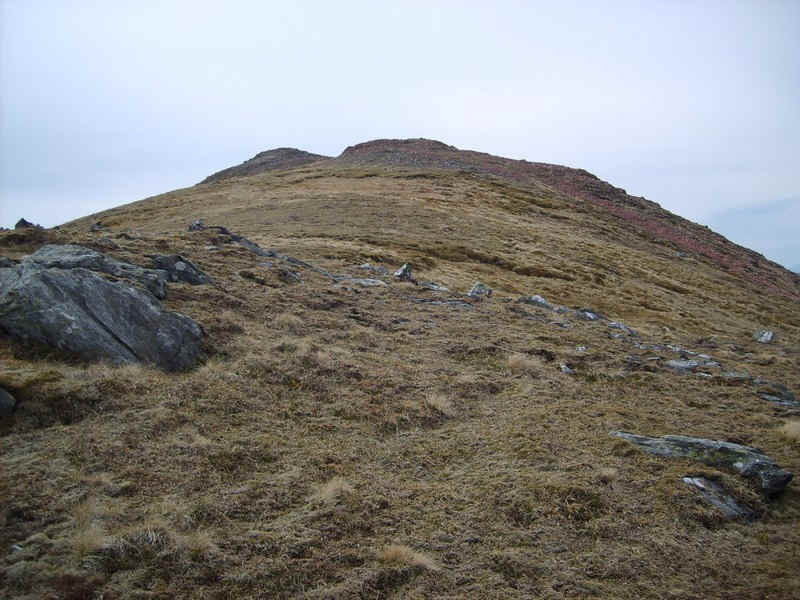 Further up conditions improve as the summit dome comes into sight. 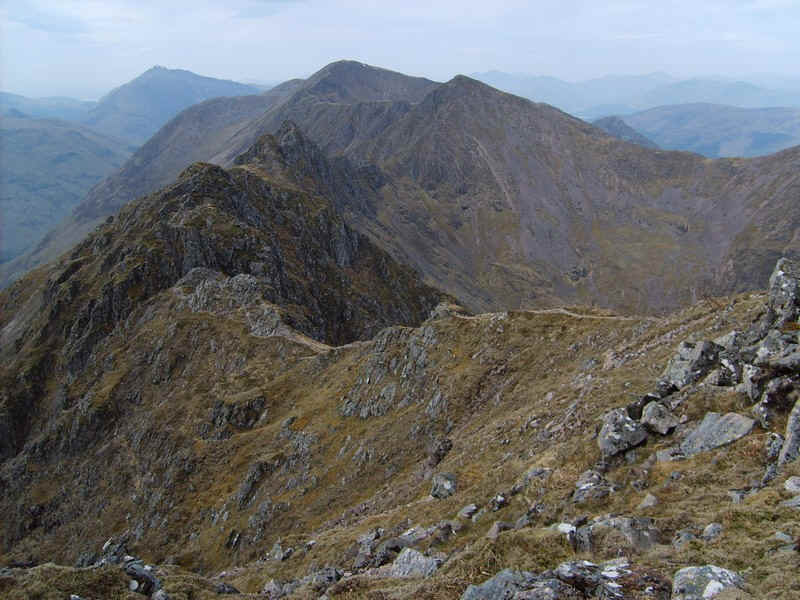 There are dramatic views along the Aonach Eagach ridge to the west with Stob Coire Leith beyond the pinacles and the round summit of the Munro at the western end of the ridge, Sgorr nam Finnaidh, visible beyond. 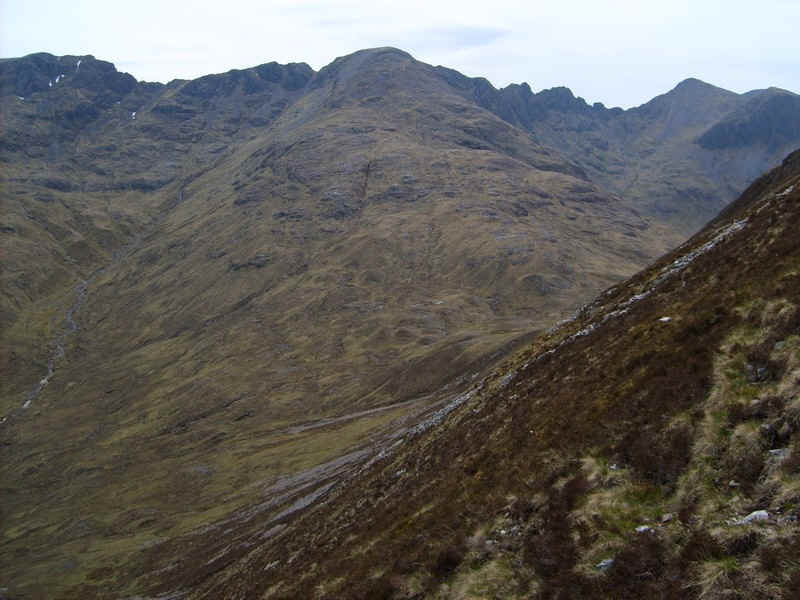 Over to the eastern end of the ridge is Am Bodach - quite why this isn't a separate Munro puzzles me! 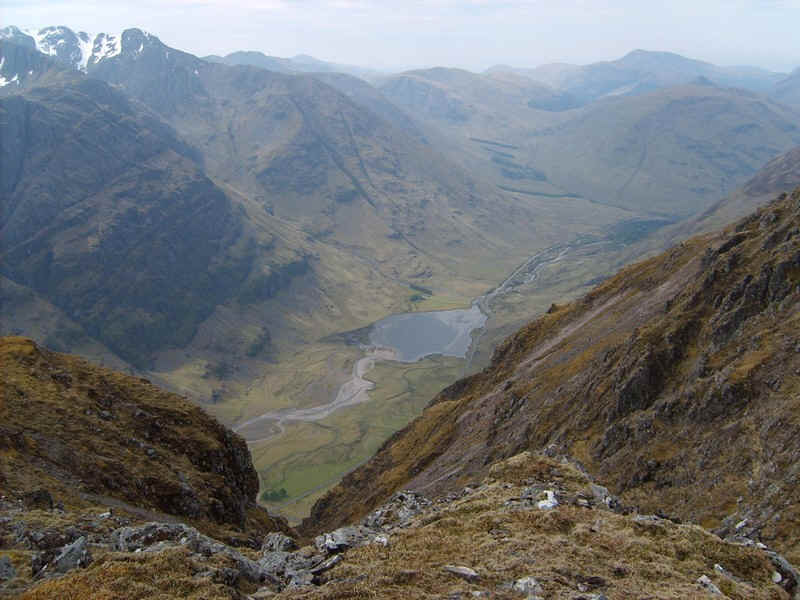 Across the glen is Bidean nam Bian, still with a lot of snow on it. 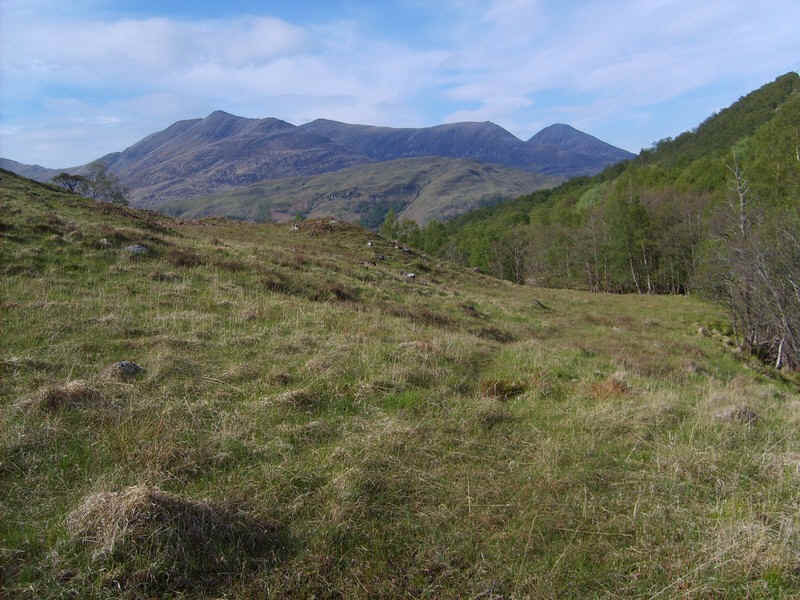 Click on the photograph to see the full size image of the panorama over the Mamores to Ben Nevis. 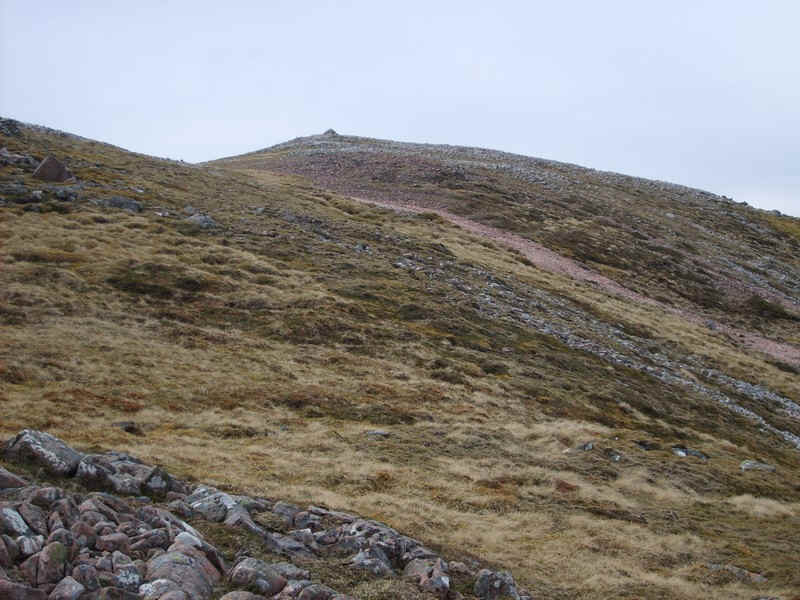 Walking back down the ridge a possible route up Beinn Garbh was obvious - traversing right across the hillside from the coll to the low point on the hill's long ridge and the doubling back to the left to the summit. 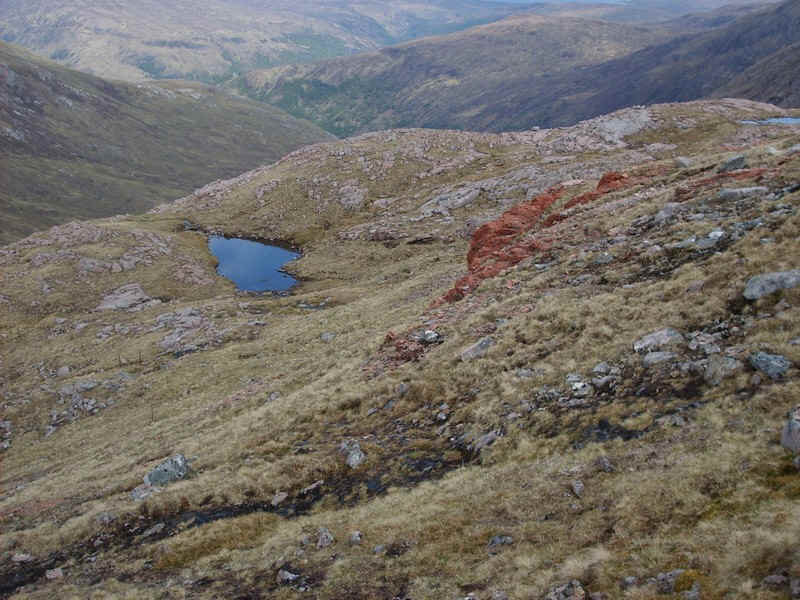 On the way back down the ridge there's another small lochan and that dramatic red outcrop..
....which looks even stranger from this angle. 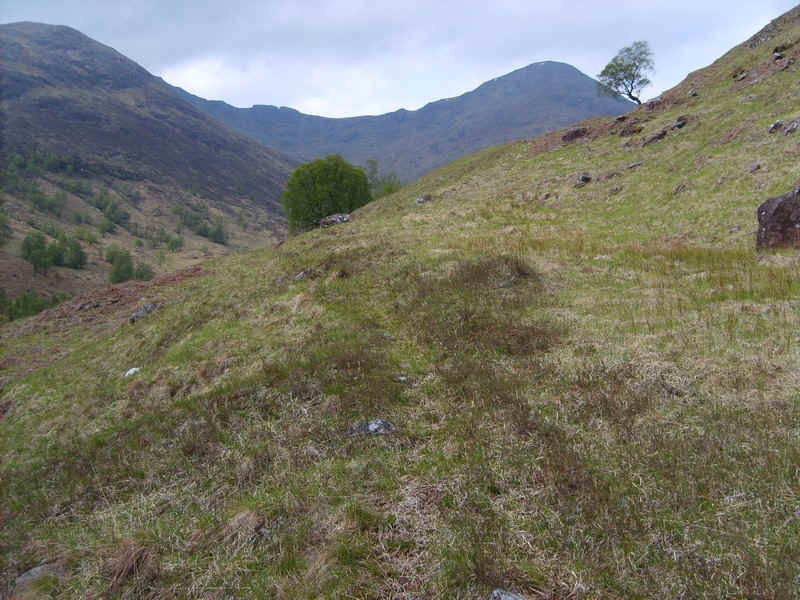 Down at the coll I could see where I need to aim for across the hillside below the scree slopes. 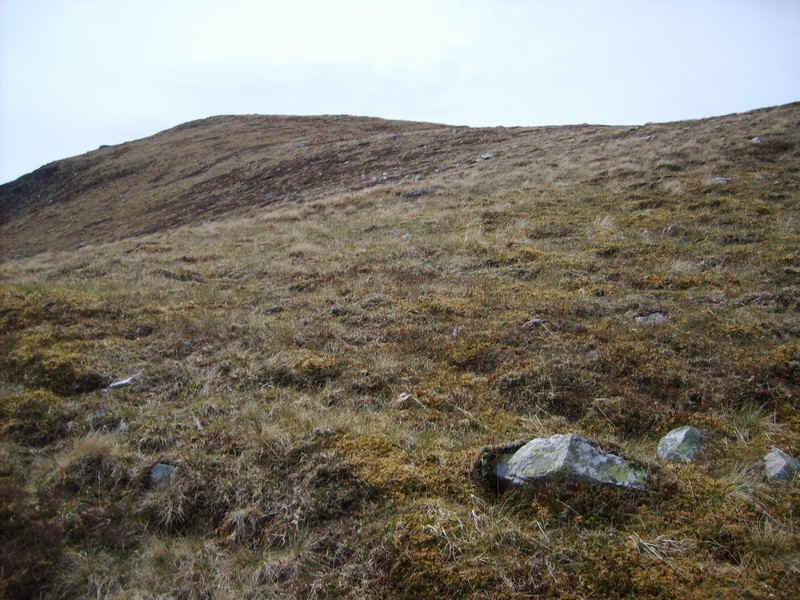 ......but there's no denying that walking along a slope as steep as this is hard work. 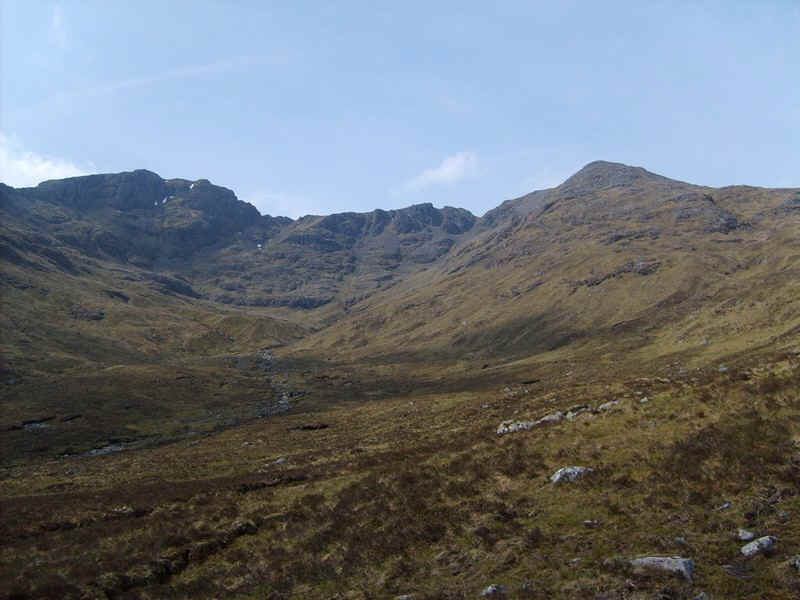 This is the view back towards Meall Dearg. 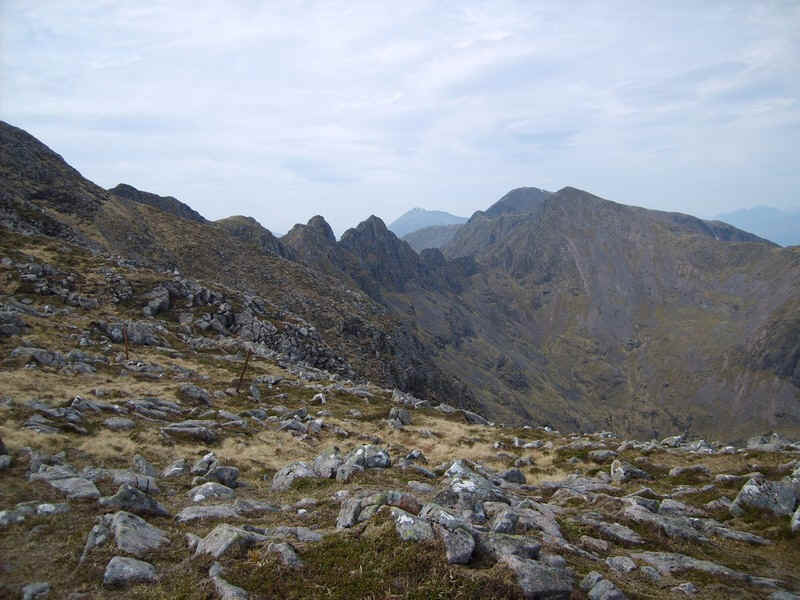 ....the broad ridge of Beinn Garbh can be seen. 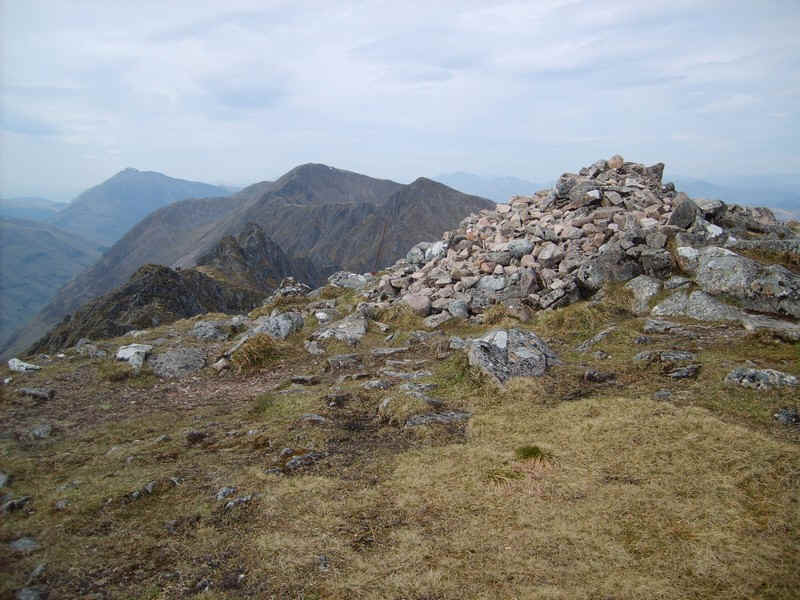 .....but soon enough the summit cairn came into view. 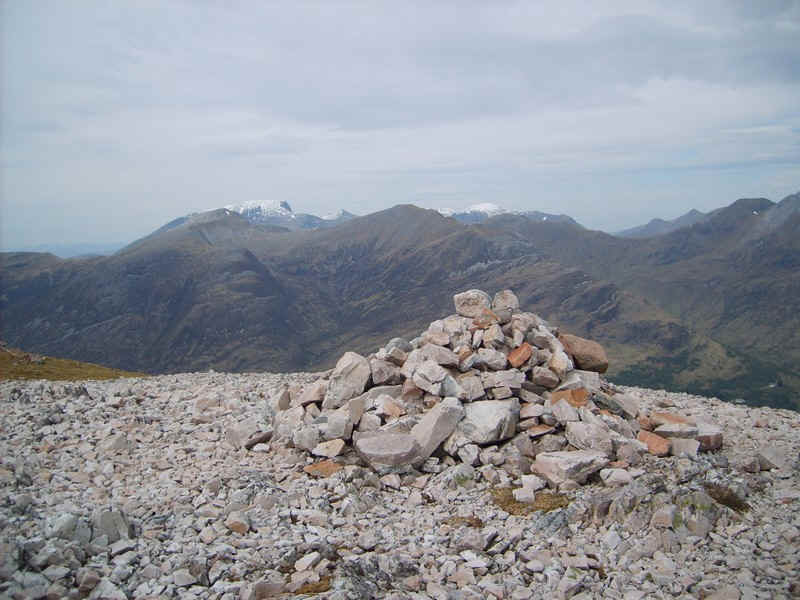 There are several cairns so I made sure to visit each one. 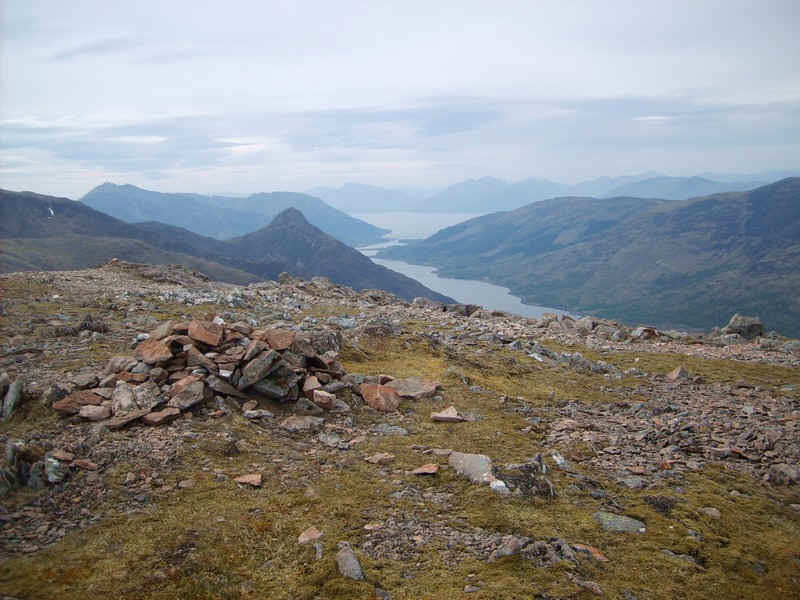 The view from the western end reveals the Pap of Glencoe in the centre, Loch Leven to its right and Loch Linnhe beyond. 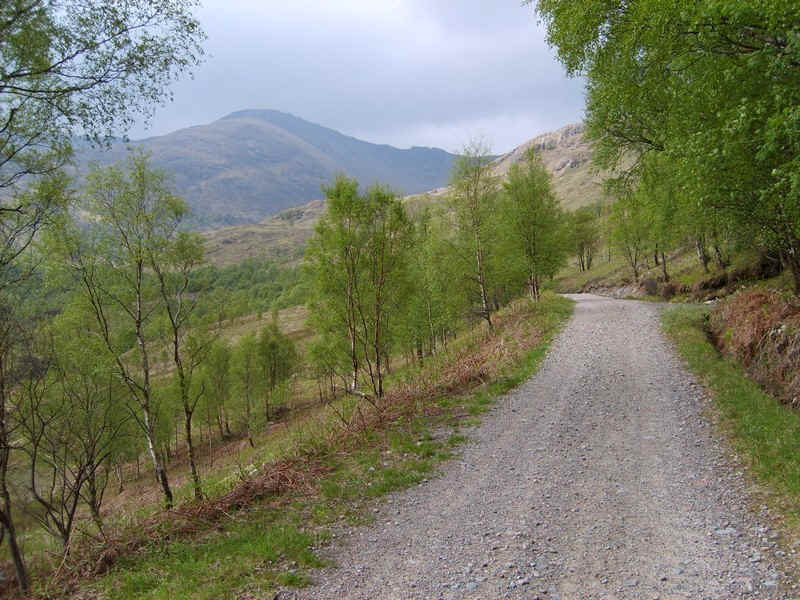 The return to the West Highland Way was down the long ridge. 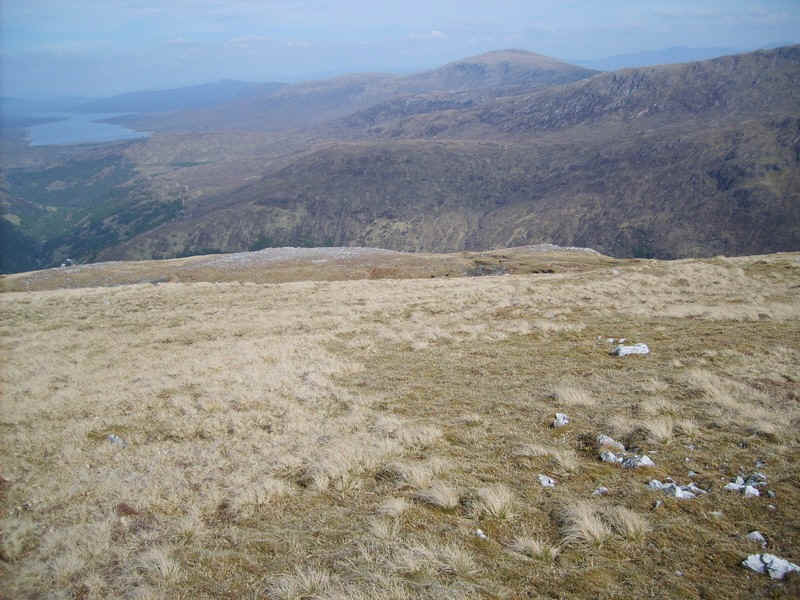 Loch Eilde Mor can be seen on the left and the Blackwater reservoir on the right. 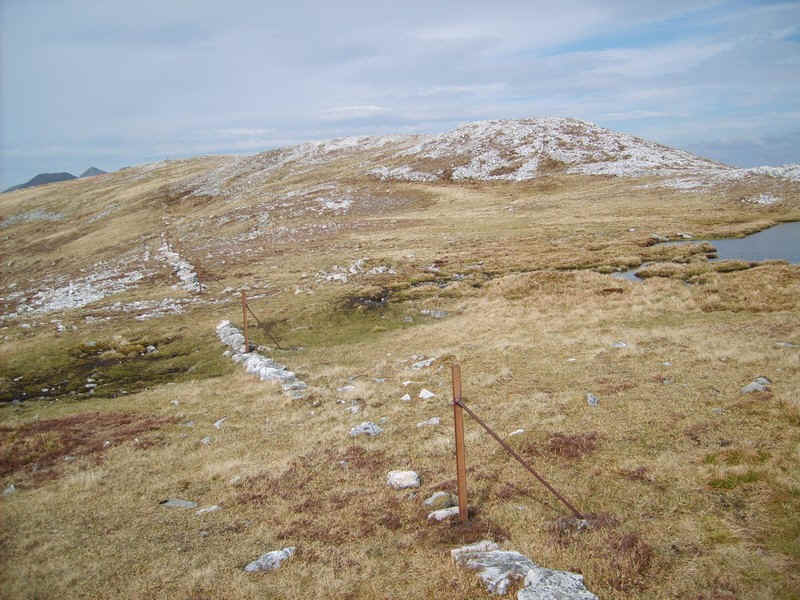 .....and a fence and dyke which I followed to the summit at the eastern end of the ridge. 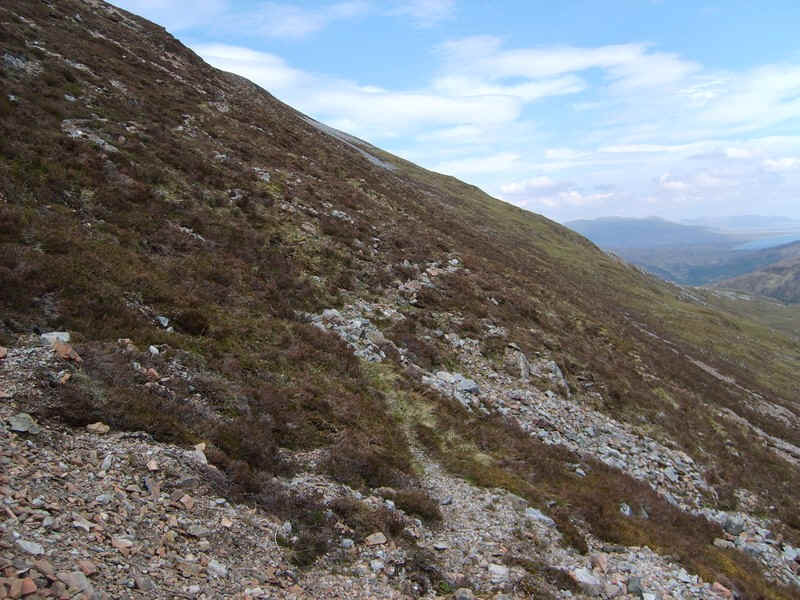 .....heading down the slopes avoiding the craggy section. 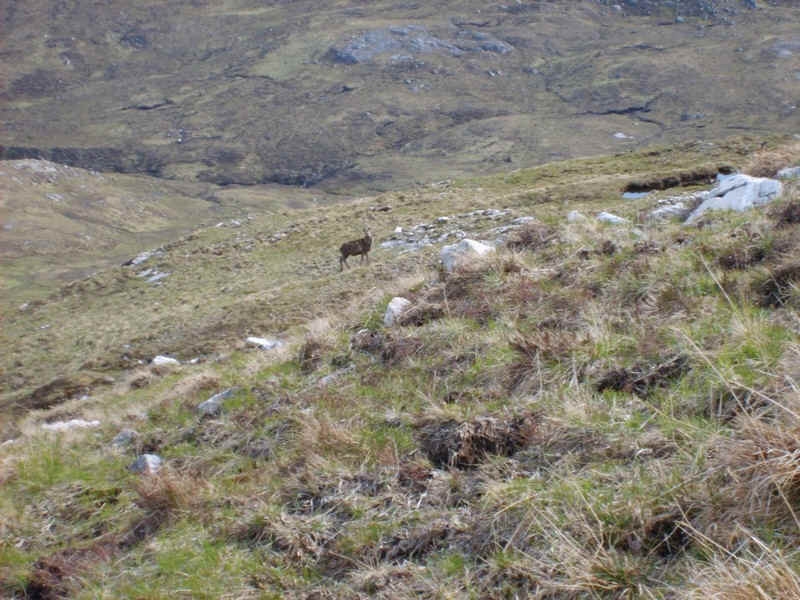 The descent was enlivened by two deer, one of which stood and stared at me for some time. 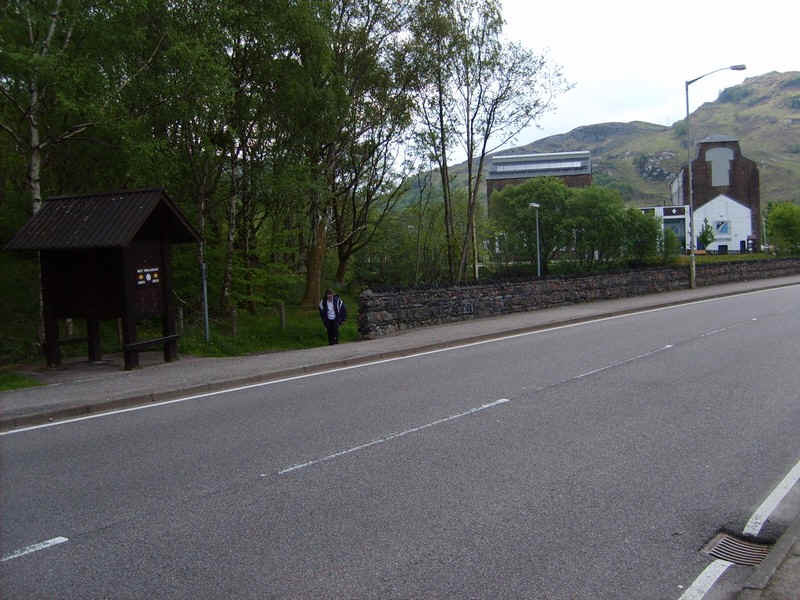 .....by the streams leading down to the Feith nan Lab. 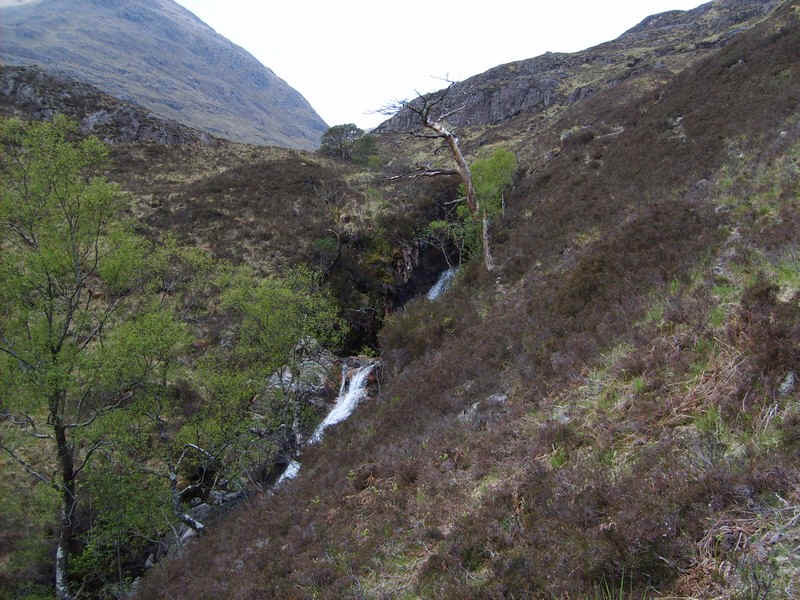 Having rejoined the outward route near the waterfall..
....it was simply a case of following the stream back to the West Highland Way and Kinlochleven. 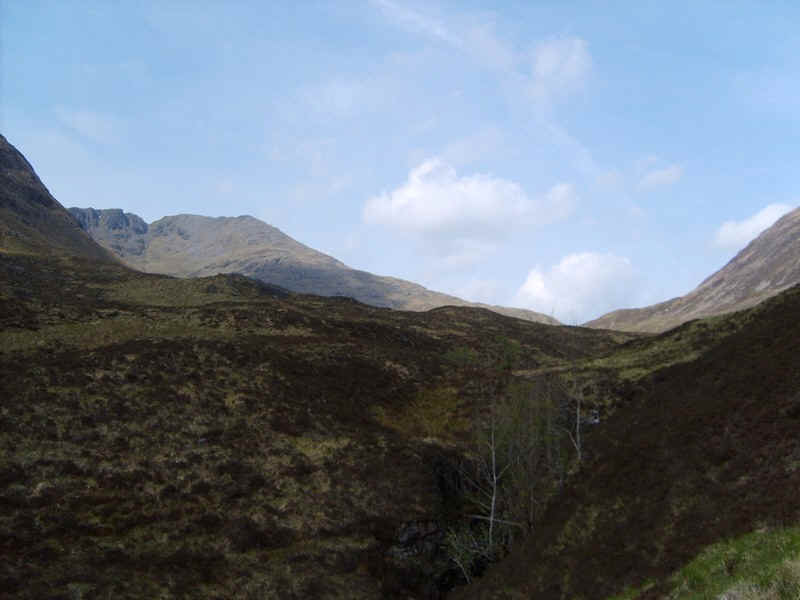 The walk had taken from 09:15 to 18:30 including several quite long breaks to admire the views. 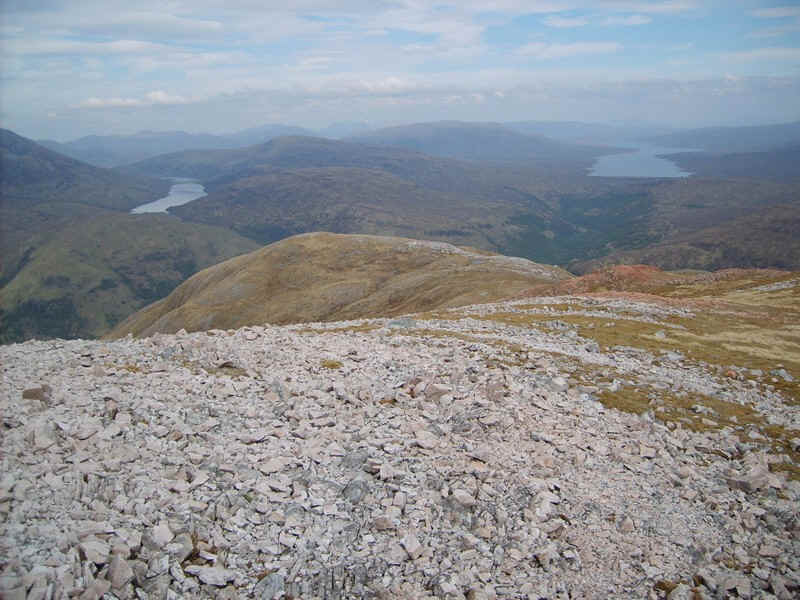 112 Munros and 12 Corbetts are now ticked off.